Dr Eden Woon assumed the position of President of Asian Institute of Technology (AIT) on September 1, 2018. He also serves as Special Advisor to the Shaw Foundation in Hong Kong. The Shaw Foundation has funded education projects in Greater China and elsewhere for over 30 years, and is the sponsor of the world-renowned prestigious Shaw Prize in Mathematical Sciences, Life Science and Medicine, and Astronomy. He was most recently the Vice Chairman of Alba Group Asia. Alba Group, based in Berlin, is one of the world’s leading environmental engineering and services companies. Starting from 2010 until November 2017, Dr Woon was the Vice-President for Institutional Advancement of the globally highly-ranked—within the top 50 in both the QS and Times Higher Education World University Rankings—Hong Kong University of Science and Technology (HKUST), being responsible for international relations, China affairs, development, alumni, and public relations. From 2006 to 2010, Dr Woon was based in Shanghai and was the Managing Director of Li & Fung Group's China Corporate Office and Managing Director of Toys ”R” Us China. Dr Woon has also been a Vice-President of Starbucks Coffee Company in China. In 1997-2006, Dr Woon was the CEO of the Hong Kong General Chamber of Commerce, the oldest and largest business organization in Hong Kong. In the United States, he was the Executive Director of the Seattle-based Washington State China Relations Council from 1994 to 1997. Dr Woon served in the US Air Force until 1993 when he retired as a Colonel. He once acted as China policy advisor to the US Secretary of Defense. Before that, Dr. Woon taught Mathematics at the US Air Force Academy for six years, becoming an Associate Professor. His initial assignment in the US Air Force was as a computer analyst in the Air Force Systems Command. 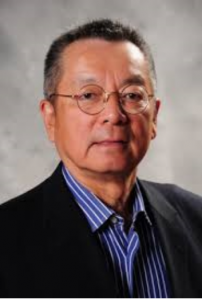 Dr Woon received his BA degree from the University of Iowa and his MA, MS, and PhD degrees, all in Mathematics, from the University of Washington in Seattle. He is also a graduate of the Armed Forces Staff College in Norfolk, VA, and the National War College in Washington, DC. He is a Justice of Peace of Hong Kong and a member of the Council on Foreign Relations in New York.